Multimedia Development Corporation (MDeC) is a unique high powered government-owned corporation, established to facilitate the development and promotion of MSC Malaysia, the premier Malaysian ICT initiative. MDeC advises the Malaysian Government on ICT policies, develops MSC Malaysia as a key growth driver of the economy and set breakthrough standards for ICT and multimedia operations. Malaysia Digital Economy Corporation Sdn. Bhd. 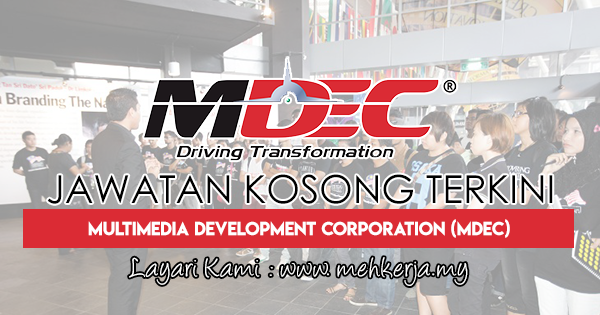 or MDEC (formerly known as Multimedia Development Corporation Sdn. Bhd.) is an agency under the Ministry of Communications and Multimedia Malaysia. We have been entrusted to develop, coordinate, and promote Malaysia’s digital economy, information and communications technology (ICT) industry, and the adoption of digital technology amongst Malaysians. MDEC was incorporated on 5th June 1996. The corporation was officially launched by the then Prime Minister Tun Dr. Mahathir Mohamad on 1st August 1996. We were established to strategically advise the Malaysian Government on legislation, policies and standards for ICT and multimedia operations. We were also entrusted to oversee the development of the MSC Malaysia initiative, the platform to nurture the growth of local tech companies whilst attracting foreign direct investments (FDIs) and domestic direct investments (DDIs) from global multinational companies to invest and develop cutting-edge digital and creative solutions in Malaysia. 0 Response to "Jawatan Kosong Terkini di Multimedia Development Corporation (MDeC) - 29 Mac 2018"